In a special January/February 2012 issue, The Global Journal released its inaugural Top 100 NGOs list – the first comprehensive ranking of organizations operating within the non-profit world. Recognizing the significant role of NGOs as influential agents of change on a global scale, The Global Journal has sought to move beyond outdated clichés and narrow conceptions about what an NGO is and does. From humanitarian relief to the environment, public health to education, microfinance to intellectual property, NGOs are increasingly at the forefront of developments shaping the lives of millions of people around the world. 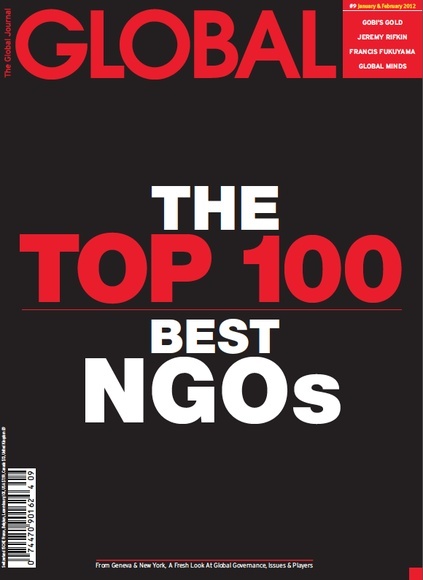 To view The Top 100 NGOs 2013 Special Edition, click here.